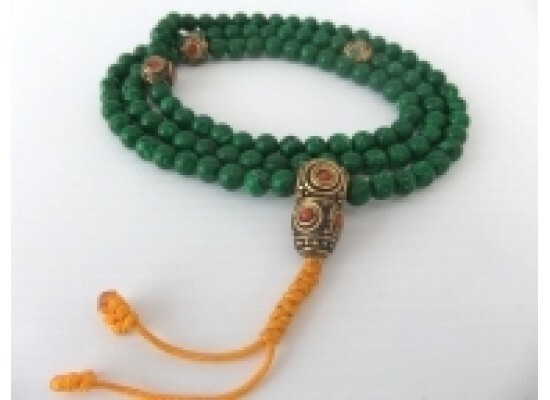 This beautiful Malachite mala has 8 mm beads and is decorated brass counters and guru bead. 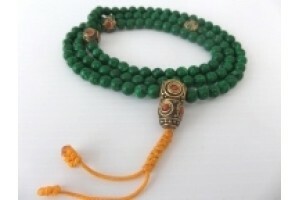 Malachite Prayer Bead Malas clear obstructions and blockages and help avert confusion and apathy. 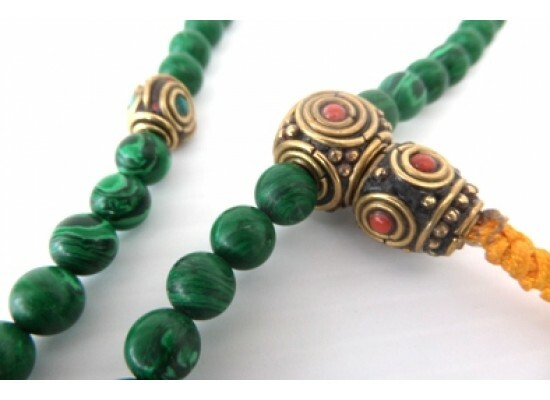 Malachite helps with business success, vision quests and meditation. 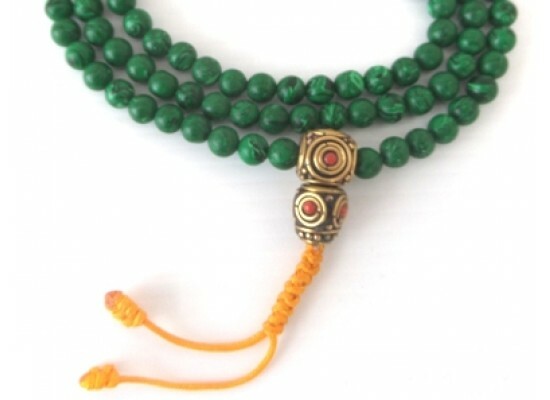 Malachite is a very important earth stone: it helps one break unwanted ties and then connect to and work with healing earth energies.